The base 2015 Toyota Corolla L remains offered with a four-speed automatic transmission; its wide steps between gears can be frustrating in mountainous terrain, or highway passing. The 2015 Toyota Corolla maintains its reputation for low running costs and frugality, but there's not a lot more beyond that, to make this a very appealing lineup. Toyota's current 2015 Corolla is isn't all-out charming, but it's engaging and interesting in a way the previous-generation Corolla missed. The Corolla, for decades, has epitomized basic, trouble-free, and relatively comfortable transportation. That 'no frills' reputation changed a bit a couple of years ago, when Toyota added some more technology and flair to the Corolla, arguably breaking free of biases that have long pegged it as the blandest of the compact-sedan bunch. With that redesign, Toyota showed, at last, that the Corolla can be more than a penny-pinching, trouble-free economy sedan. Although the Corolla has been one of the best-selling small sedans in the U.S. market -- for decades -- the automaker really stepped up its game with the current 2015 Corolla, bringing in the sharper, sportier looks, the quieter cabin, and the in-car technology that today's small-car shoppers expect. And what it's ended up with, in this 2015 Toyota Corolla, is a vehicle that's more than just thoroughly competent, but actually delightful at times -- a model you might choose for reasons other than the bottom line and watching your dollars. Yet one thing the Corolla doesn't stray away from is its low pricing and high value. The 2015 Corolla doesn't blow past any boundaries for what a Corolla should be; but it does shed some of its conservative, bare-bones appearance in favor of something more vivid and aesthetically appealing. The Corolla's new look is described by the automaker as more athletic, and we won't argue with that. The core design concept, of ‘Iconic Dynamism,’ might be a little tougher to make sense of, as we see bits and pieces of various other current compact-car models in the overarching design as well as styling details -- too many to call it iconic. The proportions of the 2015 Corolla are what make its design so successful. About three inches longer than the pre-2014 model, the current Corolla offers a longer wheelbase, with the wheels farther out near the corners of the car -- elements that together give more visual appeal, with a sportier stance, plus more interior space. Some great details, like LED headlamps and running lamps, finish off the design. The sporty Corolla S models stand distinct from the rest; they get a blacked-out grille in front with fog lamps flanking a more aggressive airdam; the look of the S is further sharpened by an integrated rear spoiler that visually lifts the tail. For 2015, LE and LE Eco models are easier to distinguish from base L models, as Toyota has tweaked that front-end appearance somewhat, with a new painted front grille, including dark gray 'Argent' painted surrounds for the grille and fog lamps. The 2015 Toyota Corolla lineup continues to offer two different 1.8-liter four-cylinder engines; and rest assured that with either version, you'll get approximately the same level of performance and fuel efficiency. L, LE, and S trim Corolla models are powered by a base 1.8-liter four-cylinder engine rated at 132 horsepower and 128 pound-feet of torque. The LE Eco trim, with its 1.8-liter four-cylinder engine, has Valvematic, which has a broader range of continuously variable valve timing, for better fuel economy as well as a boost in engine output, to 140-horsepower. In most Corolla models (LE, S, and LE Eco), there's a continuously variable transmission (CVT); with it, Toyota has managed to tune in a reassuring, almost linear feel during light and moderate acceleration, while minimizing the 'drone' that plagues CVTs used in other small cars. S models get a special version of the CVT that pretends it's an automatic, with seven simulated gear ratios and steering-wheel paddle-shifters to click through them. The Corolla S (perhaps at odds with its own mission) is the model you should move toward if you enjoy driving; it gets a suspension tune that's buttoned-down in the way you might normally expect of a sport sedan—with a special Sport button that firms up the steering, and a ride that feels firm yet absorbent and nicely damped. Other models in the lineup remain a bit springy and pillowy. The Corolla might have been considered mid-size just a few model years ago. With its redesign last year, the Corolla gained nearly four inches in wheelbase, and that almost directly translates to some meaningful increases in back-seat space. Even those six feet tall can now ride behind other six-footers—an almost unhead-of feat among small cars. There were improvements in front-seat comfort, too, with more adjustability and longer cushions than before, or than what you'll find in some rival models. 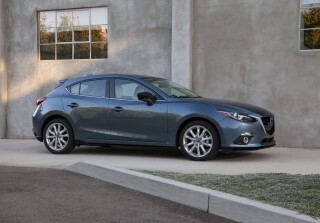 Trunk space is abundant, too, with a long, flat floor, plus flip-forward rear seatbacks in all models. Overall, the look and feel of the Corolla's cabin is more conservative than the contemporary exterior might suggest. 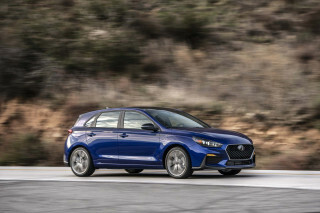 Although last year's redesign brought upscale materials and a two-tier dash design that really helps maximize the sense of space in front, the impression is that the Corolla is aiming less for a sporty compact-car feel and more for a cabin that almost rivals mid-size interiors. A soft-touch material now covers the dash; S models have leather-like Softex bolsters and coarse, contrast-toned seat upholstery, while pinstriped accents are strewn about the cabin on the dashboard and door panels. The 2015 Toyota Corolla offers an impressive safety set, as well as some (mostly) good crash-test ratings; although it's missing some of the advanced active-safety technology that's fast becoming the norm for this class of vehicle. It includes eight standard airbags along with Toyota's Star Safety system, which includes vehicle stability control, traction control, anti-lock braking system, electronic brake-force distribution, and brake assist. Across the lineup, Toyota now offers infotainment systems that aren't just competitive, but among the better systems in this class of affordable car when you consider their interfaces, ease of use, connectivity, and sound. Toyota's latest Entune system, featuring navigation and apps in some models, lift the automaker's inexpensive-car cabins out of the dark ages, and they're widely available in the lineup. That lineup remains comprised of four 2015 Toyota Corolla trim levels: L, LE, S, and a new LE Eco model. The base L model features standard LED low-beam headlights with LED daytime running lights, in-glass AM/FM antenna, color-keyed outside door handles, color-keyed outside mirrors, 60/40 split fold-down rear seat, power locks, doors, and mirrors, along with air conditioning, Bluetooth, and eight airbags. Equipment on all LE, S, and LE Eco Premium models now for 2015 includes the same so-called Driver Convenience Package, with a moonroof, Smart Key entry, Navigation, Entune Premium Audio, and the App Suite. The 2015 Toyota Corolla is sharp and well-proportioned, with purposeful interior styling; but it breaks no new ground. The 2015 Toyota Corolla doesn't blow past any boundaries for what a Corolla should be; but it does shed some of its conservative, bare-bones appearance in favor of something more vivid and aesthetically appealing. The Corolla's new look, introduced last year, is described by the automaker as more athletic, and we won't argue with that. The core design concept, of ‘Iconic Dynamism,’ might be a little tougher to make sense of, as we see bits and pieces of various other current compact-car models in the overarching design as well as styling details. In truth, Derivative Dynamism might be a better word for it; and we don't think it's a put-down as the design borrows some of the best. Inside, the Corolla takes a step forward with improved materials and a two-tier design that effectively pushes the corners of the cabin outward, for an immediate impression of increased space. The dashboard is now a soft-touch material with fake stitching, while pinstriped accents are strewn about the cabin on the dashboard and door panels. All models have a new three-dial gauge cluster with chrome trim except the S model, which features a two-gauge gauge cluster containing a 3.5-inch black-and-white TFT display with trip computer functions. All the other models in the lineup have a three-gauge look with silver accents. Base models have a Steel Gray Fabric, while LE and LE Eco models have an upgraded fabric. S models instead have seats that combine leather-like Softex bolsters with coarse, color-toned fabrics in between. You'll find good drivability and performance from the CVT automatic; those in search of more fun should seek out the Corolla S manual. Performance has almost never been a strength for the Corolla lineup; it's no surprise that for the shoppers that Toyota aims for with this sedan—those who want low running costs and value for the money—that performance falls after things like interior comforts and safety features. Yet if you choose the right model in the lineup, the 2015 Toyota Corolla is definitely a little more inspired than this model has felt in the past. The 2015 Toyota Corolla lineup continues to offer two different 1.8-liter four-cylinder engines; and rest assured that with either version, you'll get approximately the same level of performance and fuel efficiency. L, LE, and S trim Corolla models are powered by a base 1.8-liter four-cylinder engine rated at 132 horsepower and 128 pound-feet of torque. The LE Eco trim, with its 1.8-liter four-cylinder engine, has Valvematic, which has a broader range of continuously variable valve timing, for better fuel economy as well as a boost in engine output, to 140-horsepower. Valvematic allows valves to ‘float’ when coasting and reduce drag when light on the throttle at higher speeds. At the same time, the system widens the torque curve—although peak torque is actually 2 lb-ft lower, at 126 lb-ft, so despite the higher horsepower don't expect this model to feel noticeably quicker. In most Corolla models (LE, S, and LE Eco), there's a continuously variable transmission (CVT); with it, Toyota has managed to tune in a reassuring, almost linear feel during light and moderate acceleration, while minimizing the 'drone' that plagues CVTs used in other small cars. S models get a special version of the CVT that pretends it's an automatic, with seven simulated gear ratios and steering-wheel paddle-shifters to click through them (and a nice leather-trimmed steering wheel). Models with the CVT have much-improved highway passing response, and they feel perkier at speed in general compared to the automatic they replace (Toyota says it’s knocked nearly a second off the 0-60 mph time of the four-speed automatic). But they’re no improvement in standing-start performance, where this combination feels lackluster—especially when pointed slightly uphill or loaded with passengers—due to a rather tall starting ratio. Those who want a manual gearbox aren’t left out either; both the base L and the sporty Corolla S model are offered with a six-speed manual (that’s one ratio more than last year). The throws are a little long and the linkage isn’t sport-sedan precise, but the clutch takeup is light and neat—making it easier than most to drive in stop-and-go traffic. And that base L is the only one that’s still saddled with an old-tech four-speed automatic transmission. It’s not bad, either—just a bit slow when you need a quick burst of passing power, because of the wide steps between its ratios. The Corolla S (perhaps at odds with its own mission) is the model you should move toward if you enjoy driving; it gets a suspension tune that's buttoned-down in the way you might normally expect of a sport sedan—with a special Sport button that firms up the steering, and a ride that feels firm yet absorbent and nicely damped. All models get a revised torsion-beam rear suspension that mounts bushings at a slanted position, improving both NVH and rear-end behavior near the handling limit—and S models make the most of that. Other models in the lineup remain a bit springy and pillowy, with a ride that’s not only a little softer but also a bit busier (counterintuitively) than that of the S on jittery backroads. Last year's redesign brought a sea change of improvement to the cabin, with better front seats, more space in back, and pleasing materials. Just a few model years ago, the 2015 Toyota Corolla might have been considered a mid-size sedan. With its redesign last year, the Corolla gained nearly four inches in wheelbase, and its length is now around 183 inches. That almost directly translates to some meaningful increases in back-seat space. Even those six feet tall can now ride behind other six-footers—an almost unhead-of feat among small cars. There were improvements in front-seat comfort, too, with more adjustability and longer cushions than before, or than what you'll find in some rival models. The rake of the steering column has been reduced by two degrees compared to the former Corolla, so the driving position has more of a relaxed, 'big car' feel. Back to that larger back seat, Toyota says that rear legroom has gone up a whopping 5.1 inches. But for real-world purposes, think more in the range of two or three inches more than before. Rear headroom has gone down a bit versus before, be forewarned; but for the first time in a Corolla, long-legged types can be comfortable in back without asking those in front to slide seats forward. What betrays the Corolla as a compact is mainly that the back seat still feels narrow—too much so to comfortably fit three adults across, even if there is enough legroom. For 2015, to all models in the lineup except for the base L, Toyota has added a rear center armrest with two built-in cupholders. There are cupholders in front and rear door panels, along with center-console cupholders for those in front. Trunk space is about as you'd expect for a compact in this class; there are 13 cubic feet, officially, but the opening is wide and the floor is low and flat. Rear seatbacks are split 60/40 and flip forward, too, on all models. Although last year's redesign brought upscale materials and a two-tier dash design that really helps maximize the sense of space in front, the impression is that the Corolla is aiming less for a sporty compact-car feel and more for a cabin that almost rivals mid-size interiors. A soft-touch material now covers the dash; S models have leather-like Softex bolsters and coarse, contrast-toned seat upholstery, while pinstriped accents are strewn about the cabin on the dashboard and door panels. Engine noise is well isolated in these models, and ride quality is great, whether you're looking at the base L, the LE or LE Eco, or the sporty S. All but the S tend to be on the soft side, with a little more rebound motion over major bumps and railroad tacks. The S feels completely different, with a more sophisticated, tight, and controlled feel—although it's not at all harsh. Safety retings are (mostly) excellent for the 2015 Corolla, although it's missing advanced active-safety options. The 2015 Toyota Corolla offers an impressive safety set, as well as some (mostly) good crash-test ratings; although it's missing some of the advanced active-safety technology that's fast becoming the norm for this class of vehicle. It includes eight standard airbags along with Toyota's Star Safety system, plus vehicle stability control, traction control, anti-lock braking system, electronic brake-force distribution, and brake assist. The airbags include a driver’s side knee bag as well as a front passenger seat cushion bag. That's in addition to driver and front passenger front and side airbags, as well as side-curtain bags that cover outboard occupants front and back. Other included safety equipment includes electronic stability control and anti-lock brakes with Brake Assist, as well as a Smart Stop system that automatically cuts engine power in some cases if the brake and accelerator pedals are simultaneously pressed. While some cars in the Corolla's class include a few active-safety features like active parking systems, or blind-spot systems, the Corolla keeps it simple. 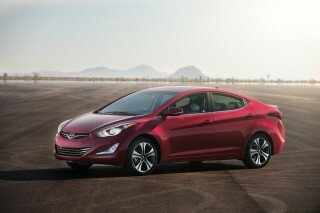 It does however have good outward visibility, and a rear camera system is included in most versions. In addition to employing more high-strength and ultra-high-strength steel, the new Corolla has a rear-seat cross bar that helps with load transmission during side impacts—and helps reduce injury for rear-seat passengers. The Corolla has performed well in crash tests. It's achieved top five-star safety scores in frontal and side impact areas, resulting in a five-star score from the federal government. 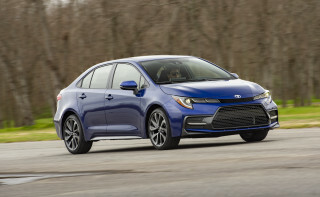 In Insurance Institute for Highway Safety testing, the Corolla earned top 'good' ratings in frontal, side, rear, and roof strength tests, but a 'marginal' rating in the new small overlap frontal test dashed Toyota's prediction that the Corolla would earn the best Top Safety Pick+ accolade. It's instead a Top Safety Pick. Infotainment systems in the 2015 Toyota Corolla are impressive; and there's a lot of value in this lineup. Across the lineup, Toyota now offers infotainment systems that aren't just competitive, but among the better systems in this class of affordable car when you consider their interfaces, ease of use, connectivity, and sound. Toyota's latest Entune system, featuring navigation and apps in some models, lift the automaker's inexpensive-car cabins out of the dark ages. And they're widely available in the lineup. That lineup remains comprised of four 2015 Toyota Corolla trim levels: L, LE, S, and a new LE Eco model. The base L model features standard LED low-beam headlights with LED daytime running lights, in-glass AM/FM antenna, color-keyed outside door handles, color-keyed outside mirrors, 60/40 split fold-down rear seat, power locks, doors, and mirrors, along with air conditioning, Bluetooth, and eight airbags. The base audio head unit is not only delightfully simple—skipping the touch screen, apps, and such—but it has surprisingly good sound, plus a display that can show long track names and song tags. All but the base model get automatic climate control. Cruise control isn’t at all available on the base model. Neither is keyless entry, as evidenced by the old-fashioned single ignition key we were handed when going to take the base model for a spin. Hands-free calling, an auxiliary audio jack, and USB/iPod connectivity (with charging and full USB 2.0 compatibility) are included in all Corolla models—even the base L—but LE, S, and LE Eco models all include more steering-wheel controls as well as voice recognition. With the LE you add larger 16-inch steel wheels, in addition to automatic climate control, power locks, keyless entry, piano-black center-stack trim, variable intermittent wipers, and a backup camera system. Equipment on all LE, S, and LE Eco Premium models now for 2015 includes the same so-called Driver Convenience Package, with a moonroof, Smart Key entry, Navigation, Entune Premium Audio, and the App Suite. The Corolls S and LE Eco trims are the specialty models of the lineup. 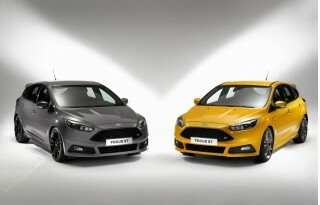 With the sporty S you get unique wheel covers, integrated fog lamps, a special blacked-out grille, a chrome-tipped exhaust, more aggressively bolstered sport seats, a leather-trimmed steering wheel, passle shifters, and a Multi-Information Display in the middle of the gauge cluster. S models with the CVT also get a separate Sport drive mode that firms up the steering and quickens throttle response. At more than 40 mpg on the highway for some versions (the Eco), the 2015 Corolla lives up to its nameplate's frugal reputation. Although there's no such thing as a hybrid model in the 2015 Toyota Corolla model line, this frugal sedan has the high mileage and low running costs that those considering the Corolla are probably going to expect. That said, some are going to expect some higher numbers, and for them the Toyota Prius lineup might be a better pick—or, potentially, the Toyota Camry Hybrid. The LE Eco model is the one for the most mileage-conscious; it adds an Eco Drive Mode button that brings further changes to shift points, throttle response, and accessory operation. That fuel-economy special of the lineup is the LE Eco. 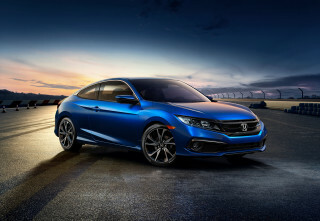 But if those numbers are the top priority, don’t load it up with options; if you get either the Plus or Premium packages, you’ll upgrade to 16-inch alloy wheels (rather than the 15-inch steel wheels), and that’ll knock the 42-mpg highway estimate down to 40 mpg. I purchased my 2015 Corolla in August of 2015. I had previously been driving a 2014 Nissan Versa Note, which had died on me at 50,000km (I am still bitter about it). What a difference. The quality of the 2015... I purchased my 2015 Corolla in August of 2015. I had previously been driving a 2014 Nissan Versa Note, which had died on me at 50,000km (I am still bitter about it). What a difference. The quality of the 2015 Corolla is unparalleled in today's compact car sector. If you are looking for a car that comes with lots of features for a very reasonable price, the Corolla is by far the best pick! 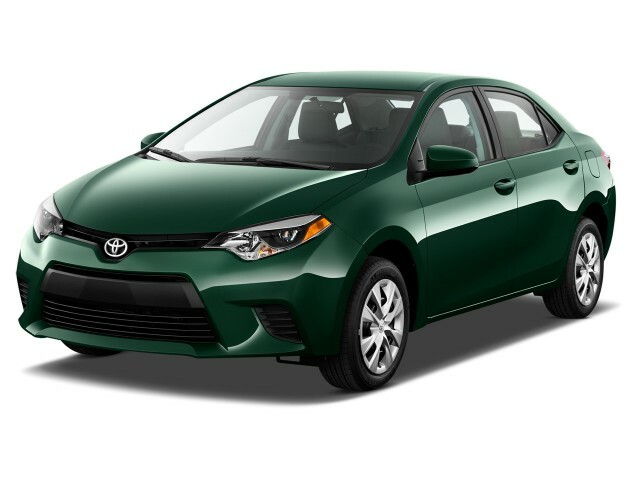 For the very low price of $22,000 (CDN), the Corolla LE comes with a rearview camera, infotainment system, USB/AUX, heated seats, steering wheel controls, cruise control, text-assist, bluetooth calling, standard LED headlights AC, power windows and more. 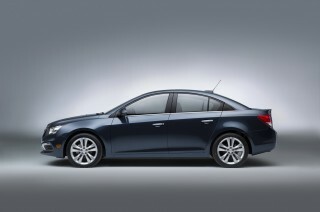 It has a smooth and quiet ride with a very roomy back seat. The CVT is responsive, smooth and very quiet in comparison to many others out there. I am getting 5.6 l/100km with summer tires on doing mostly highway driving, which is far better than expected. The Corolla also has a reputation for exceptional reliability. I am only at 20,000 km currently, but if the parts are made with as much attention to quality as the interior and exterior of the car, the longevity for this Corolla model will be fantastic. The only complaint I have about this car is the driver/passenger seats. I find that, while driving the vehicle, I am always sitting up straight rather than in a resting position due to the odd shape of the seats/head rests. Comfort in this area may depend on body proportion or height - I am not entirely sure what the issue is. 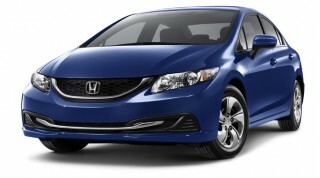 great commuter vehicle that is reliable, sporty, great style and under $20,000 - hard to beat!!! Already have a couple of friends looking into purchasing one for their family! I love our Toyota Corolla. The 2015 Toyota Corolla has everything I wanted in a economy car. I love my 2015 Toyota Corolla. This is a car with no frills but I love it for the simplicity and ease of ownership.